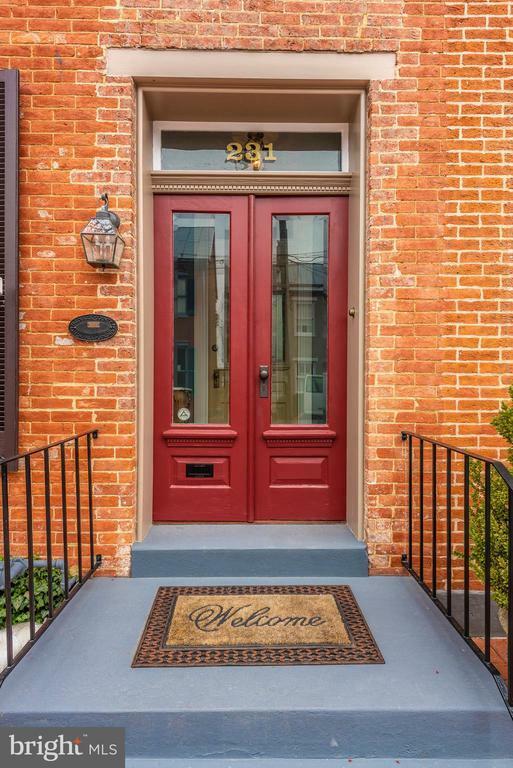 Beautifully restored Federal home with brick private parking has easy turnaround for 3 cars, inviting lush gardens with brick patio. 3 fully finished levels with front formal stairs plus back stairs to Family Room. Double parlor with fireplaces and large Dining Room, Upgraded custom kitchen with Family Room that opens on to the gardens. Sitting / Office room on second floor Wood floors throughout, skylights, updated 2 1/2 bathrooms, 6 fireplaces in all and so much more.Have to see it to believe it. Ironwork in the backyard does not convey. Directions: N Market St To Right turn on Church St.